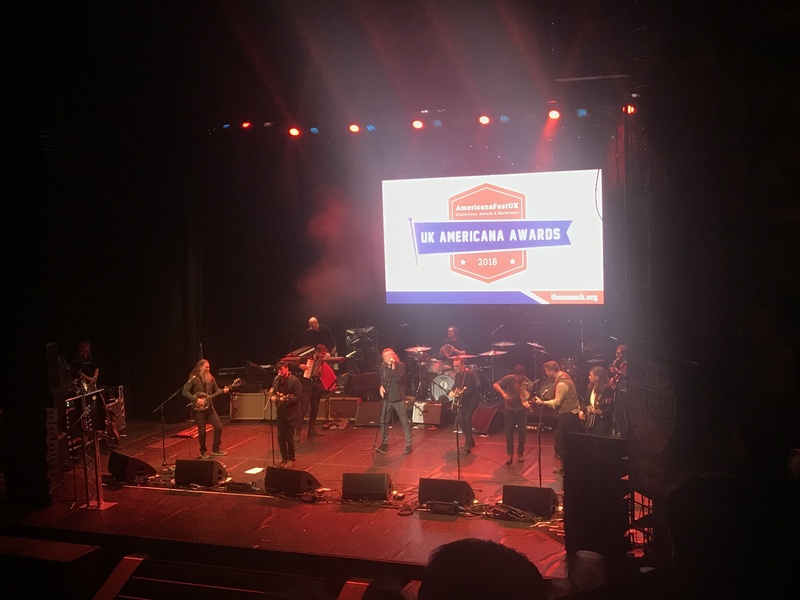 “Musical explorer” Robert Plant gets the gongs at UK Americana Awards. 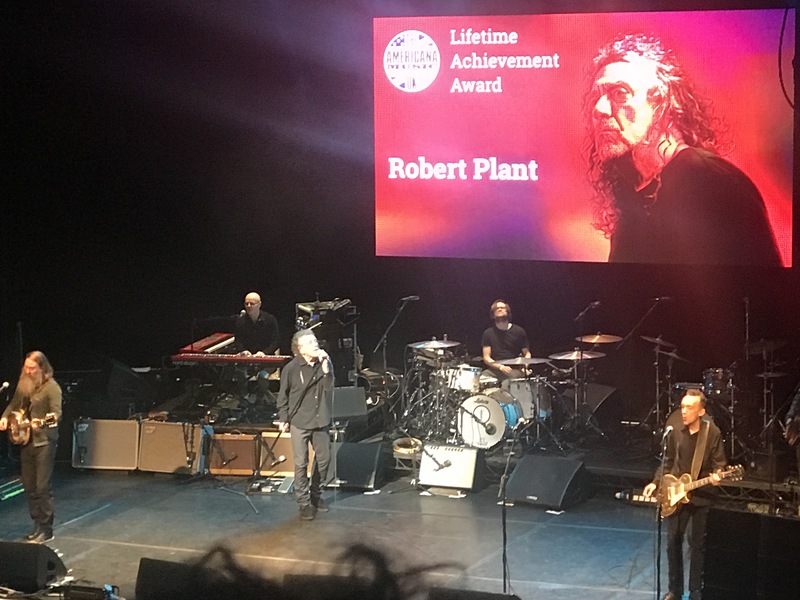 At a star-studded gala evening Robert Plant was awarded the UK Americana Association’s Lifetime Achievement Award. Plant also picked up the Best Selling Americana Album award for Carry Fire and stole the show performing a majestic slow blues masterpiece. Chaz Brooks was there for BOON to report on the award ceremony. The event was held at the Hackney Empire, a fitting venue for the occasion. Compèred by Mr Country himself, the wonderful Bob Harris, this was no dull trade awards ceremony but a slick, stimulating, lively affair interspersed with live performances from leading Americana artists. The event was notable for the award presenters, who included Chris Difford, Sir Patrick Stewart, BBC DJ Simon Mayo and Billy Bragg. Plant was surprised when Steve Bull, the ex Wolverhampton Wanderers and England centre forward came on to present his fellow Brummie the Best Selling Album award. There was more music than talking, and the speeches were brief. This was a good chance to see people performing live that you wouldn’t normally go and see. All the performances were of the highest quality. Live performances came from the energetic Robert Vincent and then one of Bob’s favourite groups The Worry Dolls. Aaron Lee Tasjan played a fabulous slow blues and broke a guitar string. Recipients of the Bob Harris Emerging Artist Award, The Wandering Hearts played their trademark track Burning Bridges. Angaleena Presley excelled and Emily Barker gave us the haunting Over My Shoulder, a song about people having to leave their homes in fear. Imelda May bewitched the audience with the emotional and autobiographical The Girl I Used To Be. International Artist of the Year – Courtney Marie Andrews played solo and captivated the audience with Table For One from her Honest Life LP. Mumford & Sons performed Sister unamplified and Robert Plant playing with The Sensational Space Shifters delivered a truly exceptional version of Satan Your Kingdom Must Come Down. 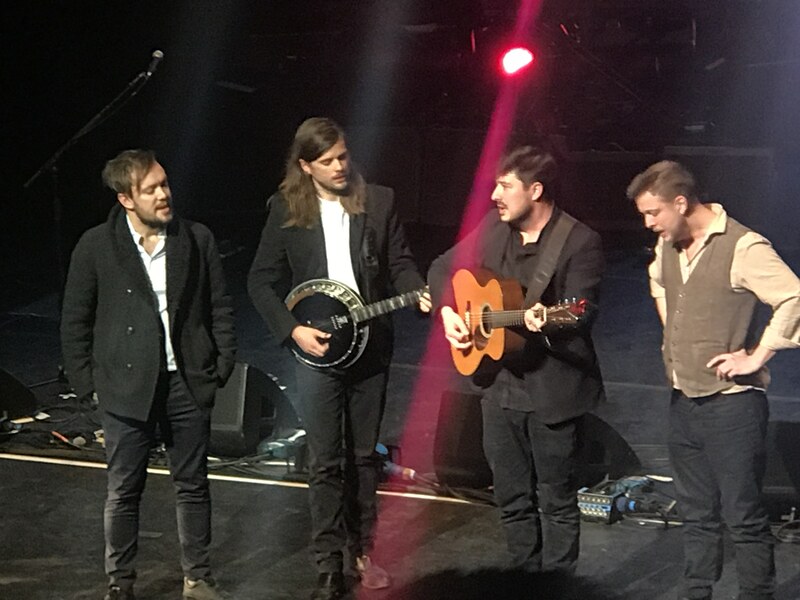 Plant and the Shifters joined Mumford and Sons together with folk fiddle legend Seth Lakeman for a rollicking folk number to close the main show. Come Down And Meet The Folks.